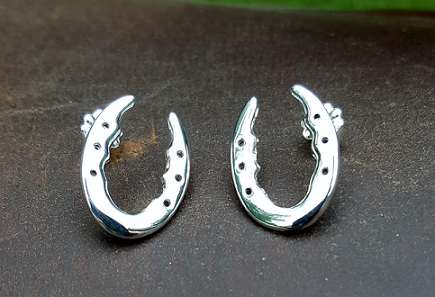 Paying special attention to detail these gorgeous gaited horseshoes give the traditional shoe a run for its' money. We make these earrings in a left and a right for perfect positioning on the ear. These are awesome size for everyday wear. These earrings are also available in 14kt white and yellow gold.